JL Audio, the USA’s leading marine audio manufacturer, is the latest name in marine electronics to join the NMEA 2000® network following the announcement that its innovative new audio source unit, MediaMaster 100s®, now meets NMEA 2000® audio entertainment protocol compatibility with Lowrance®, Simrad® and Garmin’s®Multifunction Displays. 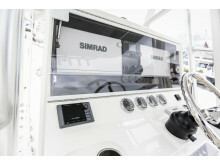 The rapid pace of innovation in marine electronics since the introduction of NMEA 2000® Interface Standard has been astounding, making it much easier for boat builders to customise electronics installations according to customer requirements and avoid unsightly bundles of wires taking up valuable space on the boat. 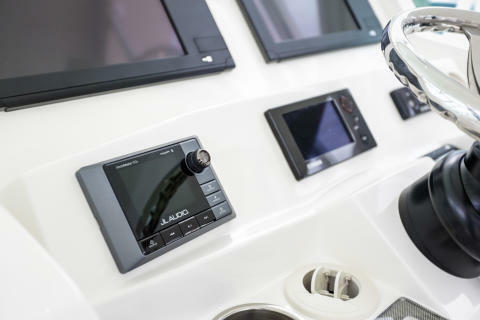 Unlike many marine audio source units that often take the form of car audio stereos, the MediaMaster 100s® has been designed and sized in harmony with other marine instruments on the helm. 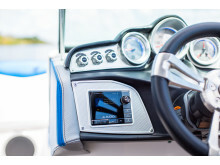 Featuring advanced audio features that are specifically designed for marine applications the MediaMaster 100s® offers superb audio performance, excellent ergonomics and an integrated marine audio solution to boat builders and customers. 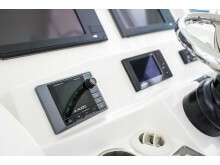 By allowing interconnection and interchangeability of the equipment’s digital data, the NMEA 2000® standard enables boat builders to integrate products easily within a common connection protocol. This minimises misunderstanding and confusion between manufacturer's equipment and provides safe and reliable communication for the boat and boat owner. NMEA 2000® compatible electronics are connected and share information via a backbone cable that carries digital information throughout the system. The device is simply plugged in and it comes to life with minimal setup procedure. Each instrument connected to the backbone will begin conversations with all other devices connected to the network. The NMEA 2000® audio integration of JL Audio’s MediaMaster® means that it can either be used as a master control station for compatible instruments or the advanced features of the MediaMaster® can be controlled directly from a compatible multifunction display. JL Audio is America’s leading luxury car and marine audio manufacturer. The company prides itself on exceptional durability and consistency created with extensive testing. Its marine division provides speaker systems designed and built for the testing environment of the ocean. The marine range brings high end, home audio quality to the leisure, luxury yacht and sports boat market. 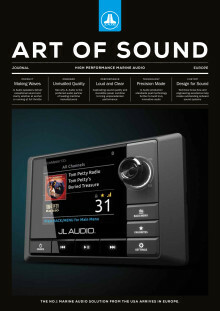 JL Audio UK is responsible for marketing and distributing JL Audio’s car and marine audio systems throughout Europe.